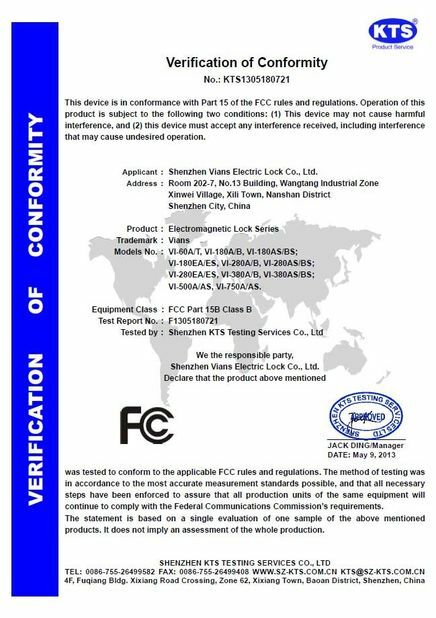 Company News - Shenzhen Vians Electric Lock Co.,Ltd. This was my second order now. Again: It was just perfect and flawless. Very good supplier, recommended. I'll definitely order again soon! Arrived as expected within the stated shipping time. Works fine. I am happy to work with you! Envio muy rapido. Todo bien! 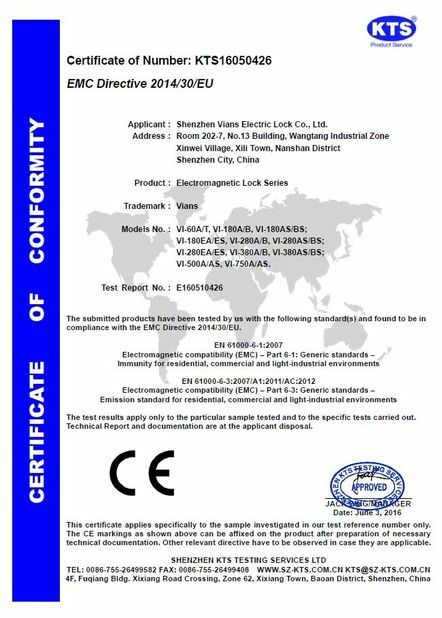 China Good Quality Electric Magnetic Lock Supplier. Copyright © 2016 - 2019 doormagneticlock.com. All Rights Reserved.